Do you know how to speak Cherokee, but cannot read and write the language? Do your children have difficulty grasping the language? Are you new to the Cherokee language and looking for a quick and effective way to learn? 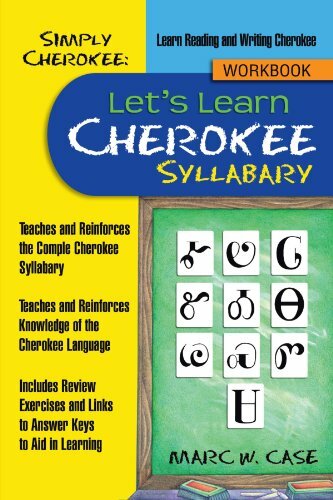 Simply Cherokee: Let's Learn Cherokee Syllabary is the first building block in Simply Cherokee's catalogue of tools for learning to read, write, and speak the Cherokee language. Inside these pages you will find the fastest-and most effective!-way to learn the Cherokee Syllabary. Each syllabary has a simple story containing a word with the syllbary's unique sound. After completing the workbook, you will remember the story and the key word whenever you see a syllabary. Cherokee Syllabary is designed for fast assimilation. And when you are done, just move on to the next book. You'll be fluent as simply as that!